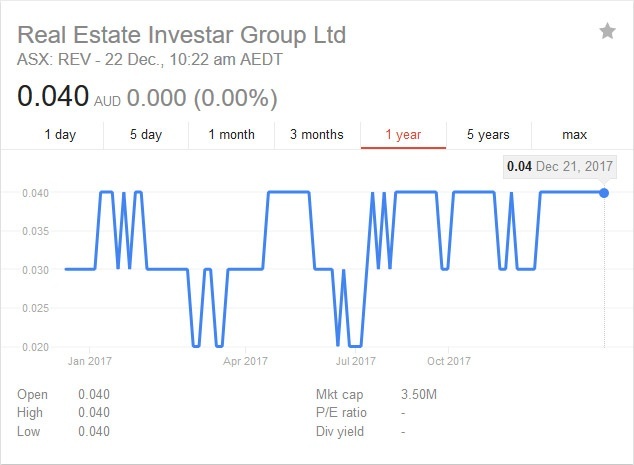 Real Estate Investar Group (ASX:REV) is a leading provider of integrated services to property investors to assist in the identification, analysis, acquisition, tracking and accounting of investment property. With over 280,000 investors accessing free online member services, and 3,000 paying subscribers utilising its platform to build and manage their portfolios, Real Estate Investar helps investors generate wealth through property investment. By providing an end-to-end online solution Real Estate Investar generates recurring subscription revenues as well as a number of transaction based revenues from services including investment property sales and mortgage broking.